END OF MONTH 1, DONATION RECEIPTS, QUARTERLY REPORT, W2s, & SOMETHING CALLED A NEWSLETTER! January is a grueling month for non-profits. It's when donation receipts have to be mailed out in addition to finishing the bookkeeping for the previous year. It's also when W3, W2s, and quarterly reports are due. And, in our case, it's also when the entire year of public events and a majority of our private events are (or should be) planned out. With each public event that is planned out a website link has to be built with all the relevant information so potential participants can make decisions and plan accordingly. In order to have the relevant information for the website that means the entire trip (or at least a majority of it) has to be planned out. Have you ever planned a 2 day, 5 day, 7 day, or 9 day vacation? That's a whole lot of planning to get done in just a few weeks. And since our private trips take on a slightly higher level of urgency than our public trips that means that public trip planning, link building, and advertising sometimes has to get bumped back a few days or a few weeks. As for 2015, we have had a surge in our private trip bookings so it posses good problems for me. Since most of our ministry revolves around private events I pretty much drop everything I'm doing when a pastor or youth pastor or group leader signs their group up for a private event. I answer questions, make recommendations, help narrow down dates, create contracts, type overly long detailed emails (I like to give more information than is sometimes needed), and then I put in a lot of hours attempting to plan out the perfect trip. Now that's a lot of things going on in the first month of the year. Now add to that an enormous undertaking of something we are calling 52 Days in which we are striving for highly productive work days to go towards other areas of improvements & developments and you start to understand why I'm putting in 18-20 hour work days in each day. And I haven't even mentioned that I also taught a discipleship group once a week, attended educational seminars, attended 3 funerals, spent quality time with family & friends, met with numerous people for breakfast & lunches, hosted 2 back-to-back retreats, flew to Alabama for a short family trip, and took time everyday (at least 15 minutes) praying and reading God's Word. I have had so much sleep deprivation this month that I started to hallucinate while sitting in front of my computer. For the first time in my life I have fallen asleep (for about 10 seconds) with my eyes wide open while working at my desk. The amazing thing is how great my attitude has been. It's not unusual to experience a little irritability with so much sleep deprivation and heavy workloads, but I only remember 2 quick instances when I got slightly frustrated.. This may sound weird, but I feel like I'm passing so many tests. Not testing from God per se, but sort of like the unexpected testing that happens when you go skydiving and land in the middle of the ocean and get tested to see what's in your character when you're in over your head. Of course, this is nothing compared to real testing like facing a terminal illness or the losing a loved one. But, in context of my little world, I feel like I should be very cranky and moody, but I'm so delighted to see how strong my character, attitude, and fortitude have been during one of the most grueling months of my entire life. In the not so great words of the not so great Charlie Sheen, "Winning!". I say all of that so that I can brag on God for a moment. I know that I'm winning because Jesus is my strength. I know I'm enjoying the difficult moments because I haven't missed my daily time with God in nearly 3 months. As Zechariah 4:6 says, "'Not by might nor by power, but by my Spirit,' says the LORD Almighty" or as Jesus said in John 15:4-5 says, "Abide in Me, and I in you. As the branch cannot bear fruit of itself unless it abides in the vine, so neither can you unless you abide in Me. I am the vine, you are the branches; he who abides in Me and I in him, he bears much fruit, for apart from Me you can do nothing." There are no truer words than those. Soooooooo, it's the end of one of the most demanding months of my life and we have made so much progress. We still have a loooooooong way to go, but I'm savoring the progress. One little bit of progress that is HUGE to me is that for the past 5 years I've wanted to mail out a newsletter with our annual donation receipts, but I've been too swamped with the January workload. BUT this year I was able to complete a brief 2 page newsletter sharing GTD's updates and plans. I almost didn't make it to the post office in time, but thanks to our hard working employee - Jessica Marie - and my awesome Mom (Margaret Ann) volunteering I was able to get it mailed out along with our quarterly report with 30 minutes to spare. That was a nice victory! I followed that victory with some nice family time with my cousins at their softball game in Clearwater, and then tonight I was able to complete our W2s & W3... followed by this blog entry (I haven't missed one yet during our 52 Days!!) before the clock strikes midnight. This is a great way to end the month! And this is a great way to start the next month. We are really plugging along well. I look forward to all that God is going to do in February. And finally I want to thank all of the donors that we just mailed donation receipts to for 2014. We had 85 donors who donated a total of $55,072.18 to GTD last year. It was the 6th largest amount in 19 years of ministry!! Thank you, thank you, thank you! 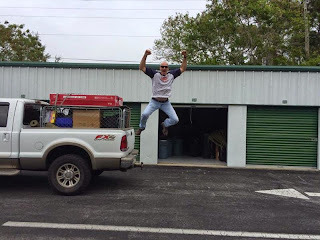 We are blown away by your love, support, and generosity! God bless you!! Erin shared her testimony at our Annual Banquet and has been going on GTD trips for the past 2 years. She is currently a nursing student in college. She is gifted beyond measure in multiple areas. Erin is one of the most remarkable people I've ever been around. In fact, she's the coolest nerd I've ever met. Erin loves God, loves adventure, loves people, loves to serve, loves to work hard, and the list goes on. She is an impact person and we are honored & thrilled to have her along side of us for the next month in GTD. We look forward to what God is going to do through her in February. 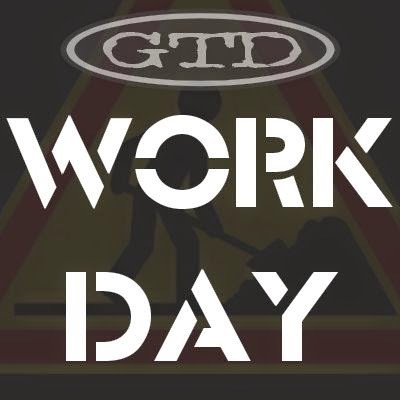 GTD WORK DAYS SCHEDULED!! How would you like to be a part of making a huge impact for the next 20 years? We need your help rebuilding the Walls of GTD. In order to be ready for the next 20 years of ministry we need to take what we have and make it better. We have a list of projects that need your help. We're asking people to set aside 2 or 4 or 6 or 8 hours of time to help with several projects during 2 weekends in February. 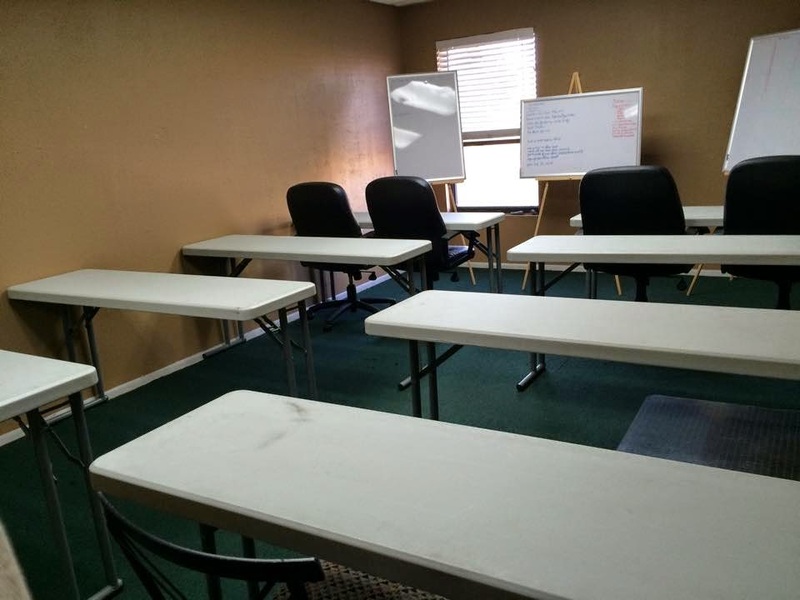 Projects include painting, organizing, construction, cleaning, sorting, hauling, filing, cleaning, repairing, deconstructing, and more. Most of these projects don't require special skills, just a willing body and desire to do a good job. A few sample projects include: Rebuilding the wooden interior of our trailer doors; Painting the interior of our office; Repairing the brakes on Mt Boards; Reorganizing one of our storage areas; Re-carpeting our pontoon boat; Solving world hunger; Building new storage shelves; Building an office wall divider; Constructing shelves; Hauling off unnecessary items; Data entry into a computer; Filing... and the list goes on. We are actually adding and modifying the list everyday. The weekends we have set aside for these projects are: Feb 6-9 (Fri-Mon) and Feb 20-23 (Fri-Mon). We would love to have your help! We would be honored to have your help. To sign up to be a part of this God-awesome transformation click on this link and complete the "52 Days Volunteer Form" and tell us when and how you can help. I can tell you this, whether it's work or play, we always have a lot of fun in GTD. Thank you! ALL NEW FAST TRACKS! (GTD DOES PRIVATE EVENTS!) Some people don't know that the majority of events we host are for private groups. 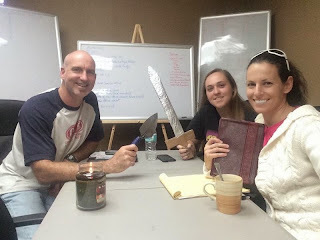 It's common for church groups, youth groups, men's & women's Christian-based life groups, sports teams, and even businesses to hire GTD to plan, prepare, and provide a God-awesome adventure for their members. When this happens we ask the pastor or group leader to complete a "Fast Track Event Planner" so they can custom build their event around their member's needs and desires. For many years our Fast Track was a pdf form that we posted online. It worked, but we seemed to have issues with it all too frequently. We've been wanting to create an online Fast Track forms for a long time, but as you may have heard us say before, "We just didn't have the extra time to work on it." Well, that is no longer the case. 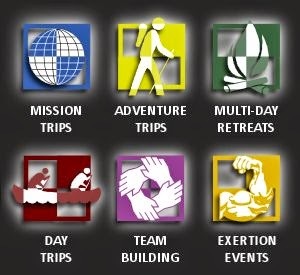 We just completed revamping our Fast Track forms for all 6 of our Programs (Missions, Adventures, Retreats, Day Trips, Team Synergy, Exertion)!! It may not sound like a big deal to some people, but it's a HUGE accomplishment for us. Now pastors and group leaders can custom build their event in about 10 minutes within a sharp looking Fast Track online form. After a pastor or group leader completes the Fast Track, we get an email notification that it is done and ready for review. That gets the whole ball rolling. We just made it easier for groups to get more involved with GTD! 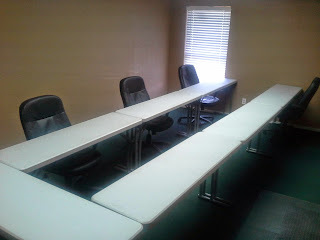 Below are all of the links to our new Fast Track Event Planners. Feel free to check them out and/or share these links with your pastor, youth pastor, or group leader so they can jump on-board the GTD adventure wagon. It's an exciting time to be a part of GTD! GTD PRODUCT LINE! One of the most frequently asked questions on our trips is, "Do you guys sell GTD T-shirts or hats?" Embarrassingly, the answer is usually, "We hope to have some new shirts soon." 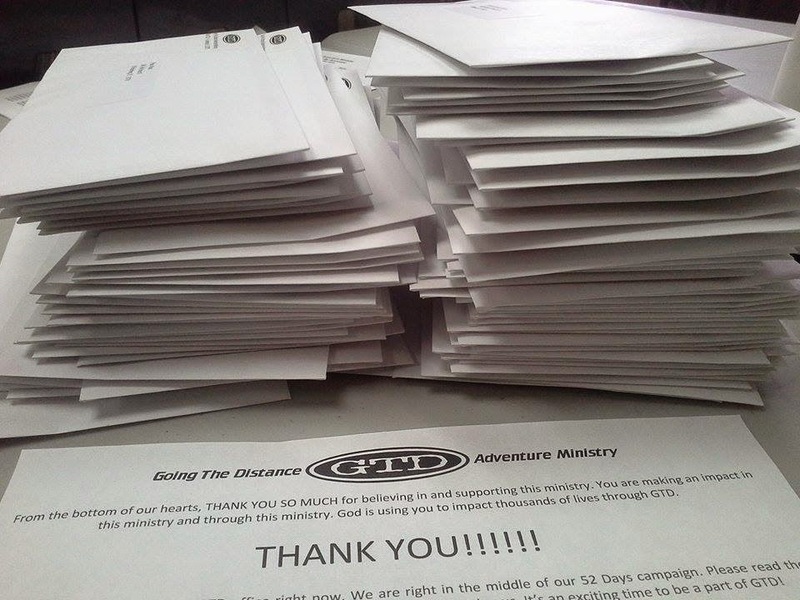 We've had nearly 10,000 participants embark on GTD adventures. Many of them want some kind of memento to remember their trip and display their love & support for this ministry. Can you imagine how many more people would have heard about this ministry by now if we had been offering GTD shirts for the past 19 years?!?! In the early years we didn't have the extra money to pay for these kind of items. Then, when we were able to purchase them, we didn't have the time to follow through with the process. The reality is we rarely have GTD shirts, hats, coffee mugs, water bottles, or an assortment of other products that participants would love to buy. That's unfortunate. And it's about to change. We are addressing our need for a quality GTD Product Line during our 52 Days campaign. 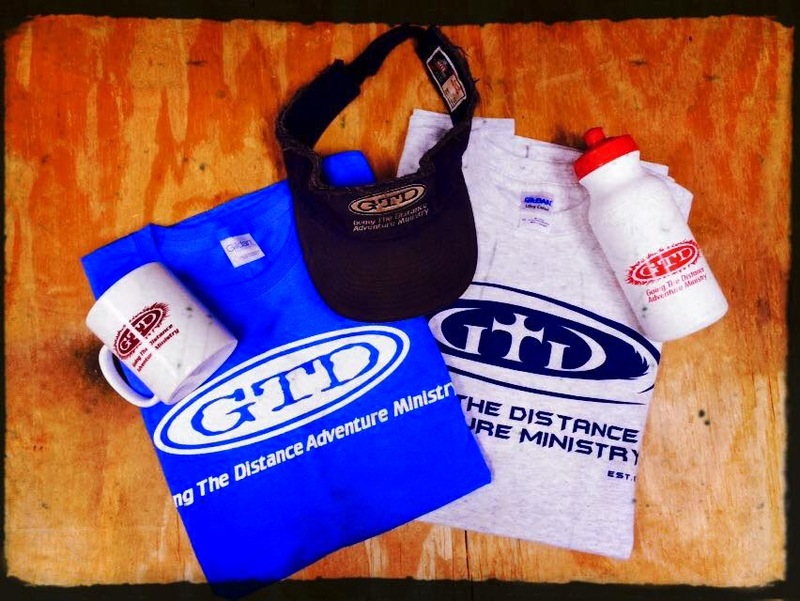 As we prepare for the next 20 years of ministry our goal is to have a small team of people who are gifted in graphic design create new GTD shirts, hats, mugs, water bottles, and other frequently requested items so that our participants can purchase a souvenir from their trip and display their GTD keepsakes. We are looking forward to offering some cool new GTD gear soon. It's an exciting time to be a part of GTD! MINISTRY IS A TEAM SPORT! 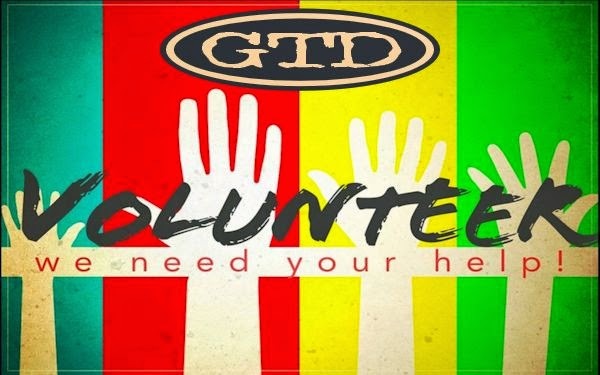 VOLUNTEER FOR GTD!! 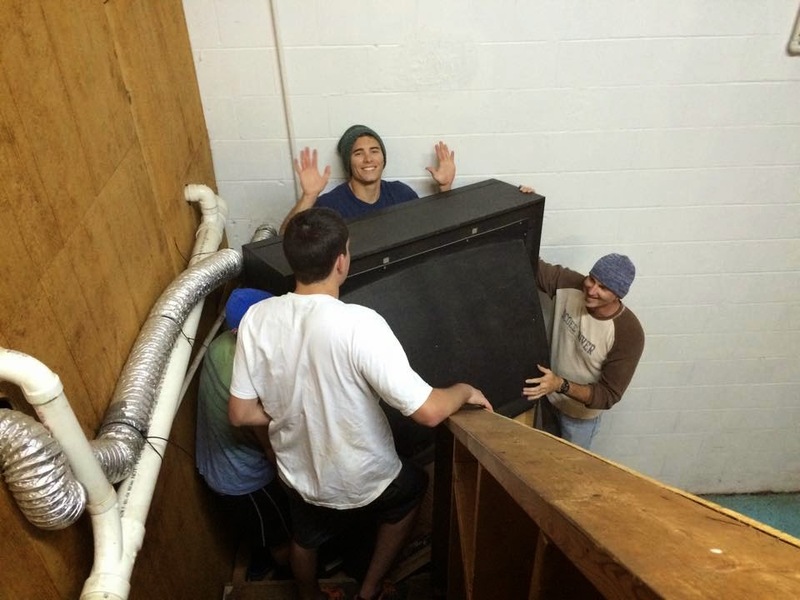 Ever since I was a teenager in youth group I have volunteered to help out in other ministries. 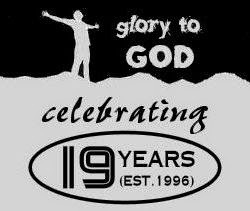 In fact, I've been volunteering for 26 years in the young adult ministry of my home church. For 26 years I have planned out activities, taught, and helped out in any way I could. It has always been rewarding. It has always been well worth it. In fact, one of the best ways to make a difference in someone else's life is to volunteer for a ministry. Whenever you use your talents and gifts to serve others God is going to bless it. 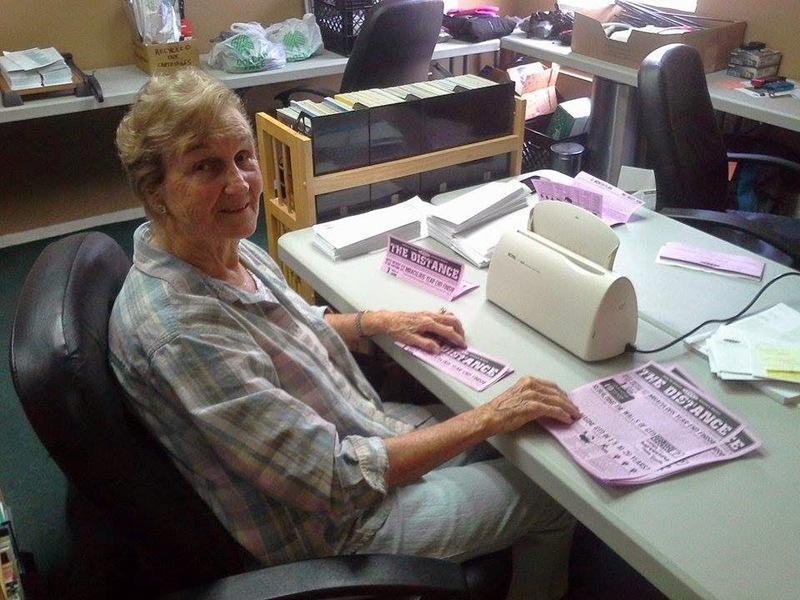 GTD used to have a thriving volunteer team of about 25 hard working people. During The Great Recession many of our volunteers had to back off of their commitments for various reasons such as new marriages, new babies, new jobs, needing a 2nd job, etc. Unfortunately during that time we also lost our Volunteer Coordinator because of financial cutbacks and we didn't have a back-up plan in place. With just 2 full-time workers we had so much on our to-do lists that we could never carve out the time to recruit & train new volunteers or prepare tasks so that they could be delegated out. So we missed out on some great people during that time. One of our main focuses during our 52 Days campaign is to increase our volunteers who can help on the trips or before the trips or after the trips or in the office. We have plenty of areas that volunteers can make a difference in! So we are rebuilding our Volunteer Department from recruitment to training to opportunities it's all being built to enable people to be a significant part of God's work in GTD. As Tim Hansel put it in his book Holy Sweat, "God's method is man." He chose to use mankind as his primary tool to reach out to mankind. Volunteering in a ministry is fulfilling, healthy, honoring to God, and it allows you to begin stockpiling your eternal rewards in heaven. Let's face it, God's not judging us on how much money we make, how popular we are, or what kind of position we achieve. He's only interested in the things that last for eternity such as the souls of people, the way we love others, how we treat what has been entrusted to us, our own obedience to His calling, and so on. Being involved in ministry gives you the opportunities to make an eternal difference and to have something to present to God when we stand before Him to give an account for the life that we lived. Whether it's with GTD or your local church or another ministry, make volunteering a regular part of your life. You will never regret it! But as for this ministry, we are looking forward to increasing our number of volunteers. It's an exciting time to be a part of GTD! GTD RE-SORT MINISTRY! Sometimes I like to tell people that GTD is a resort ministry... as in we re-sort stacks of to-do's all of the time. 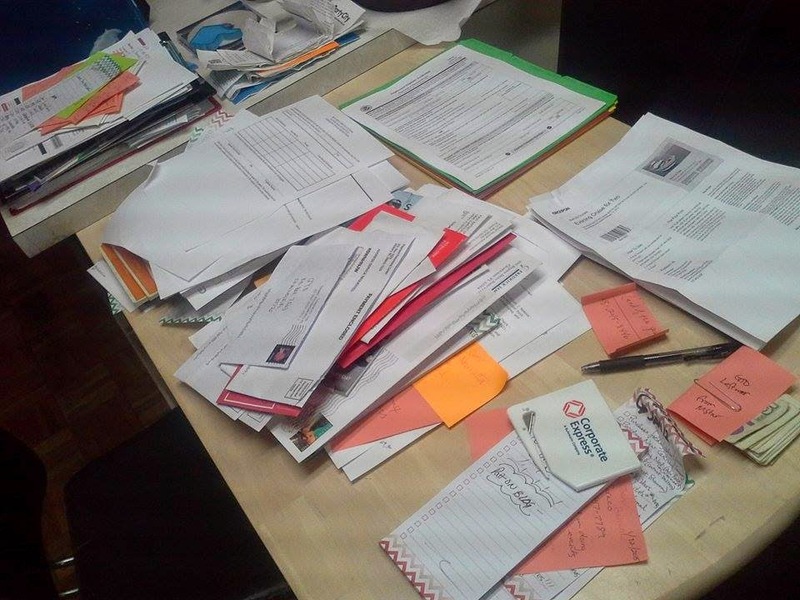 I've posted many times about the daunting task we have tackling piles of to-do's. It often feels similar to the kid at the beach digging a hole in soft sand all the while watching the surrounding sand just keep falling back into his hole. It's feels almost impossible to make significant progress because the sand never stops sliding back down into the hole. Likewise I dig & dig all week long into several stacks of urgent to-do's and then I have to go run an event for 3 or 4 days. When I get back, my stacks are now higher than they were when I originally started tackling them. It gets exhausting even writing about it. 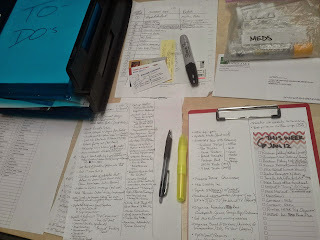 One of my quests during our 52 Days campaign is to sort years of to-do', then do them, and then keep them at a manageable amount. It may be a "pipe dream", but I believe now is the time of transformation. Now is the time for permanent change. Here is a picture of some stacks of to-do's set aside for this week. It is just part of this week's tasks. I'm hopeful that this week will be full of major progress. Keep checking back to see all the progress. It's an exciting time to be a part of GTD! VISION: INDIVIDUAL IMPACT! Our ministry's vision has never been to be the largest adventure outfitter in the southeastern United States or the number 1 rated camp ministry in Florida or anything like that. The vision God put on my heart for GTD wasn't in terms of thousands or millions of people, but rather in terms of each individual. Our ministry vision has always been about each person. Our goal is to see individuals impacted. 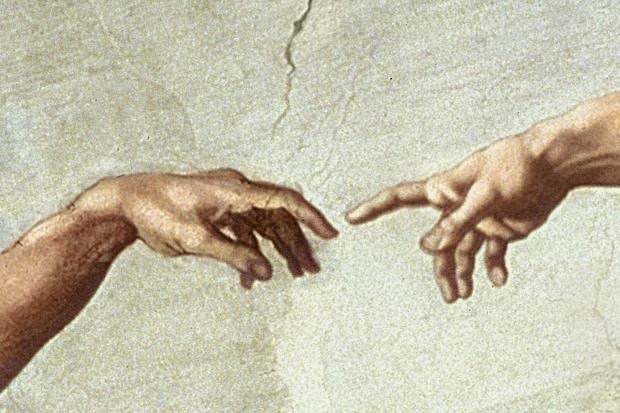 We want to see each person touched by the hand of God. We want to see each person living out their God-given potential in Christ. For me, it has always been about one-on-one relationships. The irony however has been that as the ministry grew year after year I had less and less time to spend with family, friends, and individuals. My quality time in relationships became greatly diminished. At the peak of our growth I had absolutely no time to spend with anyone. One thing I have learned about our enemy (the devil) is that he is a tactical genius. If he can't stop you from getting into ministry then he will do everything he can to bury you in ministry... he will use your momentum against you... he will push you so deep into organizational demands that you don't have time for people. If you have no time for people then you won't see an individual impact. Ministry is all about spending quality time with people. As GTD returns back to growth and expansion we are taking deliberate steps to guard against making the same mistakes. It's like God is giving us a "do-over" and this time we are going to do things differently... better. We are forging out non-negotiable quality time with individuals - family, friends, ministry partners, volunteers, interns, supporters, and those in need of personal impact. It is in those times that true ministry happens. The road ahead includes a lot more quality time with people. GTD's vision is an individual impact by the hand of God. It's taking shape during our 52 Days. It's an exciting time to be a part of GTD! ANNUAL TRADITIONAL TRIPS! 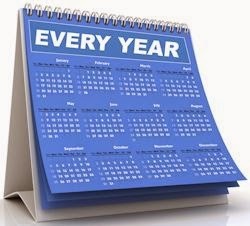 One of the GTD casualties of The Great Recession nearly 6 years ago was that we had to eliminate several of our annual events. In 2009 we had to let go of our 5 person full-time staff while at the same time watch most of our regular volunteers move on to other life commitments. That basically meant two people (Laurie and myself) now had to do the work of 10+ people. One of the immediate difficult decisions I had to make was to scale back the number of annual public events to a manageable amount so that 2 people could oversee them. That meant that I had to discontinue some of our favorite public events. It was tough. They were more than just a trip; they were traditions. Many people looked forward to them each year. But I had to trim down our workload. I based my elimination criteria on 2 things: (1) Did the event usually cost us more money than it generated? (2) Was the event too labor intensive for just 2 people to plan it, prepare it, and provide it with excellence? If the answer was yes to either one of those questions I removed it from the calendar. With just 2 people it wasn't possible to keep all of our yearly traditional trips on the calendar. I had to cut out The Islanders, Swamp Thing, Ignite, XFL, The Drifters, Nomad, Go Vertical, Mogul, DiRT, and our public Costa Rica Mission Trip. It still hurts a little bit to list all of the awesome annual trips that died during The Great Recession. But we had to cut them loose in order to survive. And praise God we did just that... we survived. Now, nearly six years later, we are becoming more and more alive. Part of our 52 Days campaign is to go back to the drawing board. Can (and should) any of these events be revived from the dead? 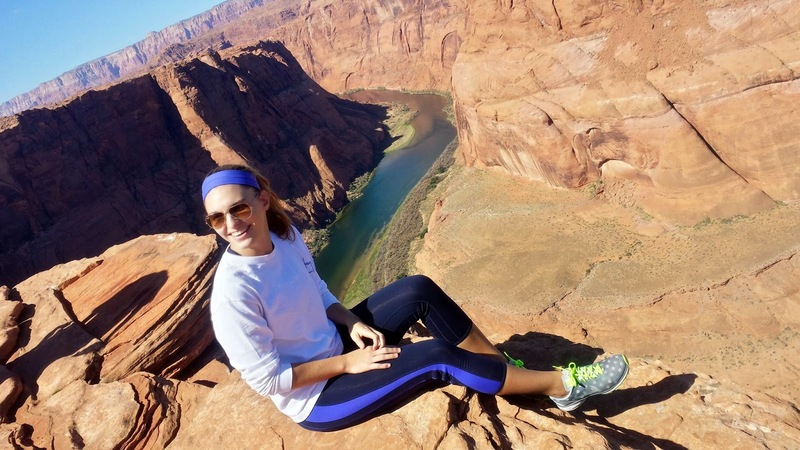 We are revisiting some of our old staples while pursuing new annual tradition ideas (like we did with The Grand Canyon Trip!). We hope to revive and reintroduce a few of our fan favorites as well as build brand new events that become NEW annual trip traditions (I actually like to call them, "TRIPditions"). So keep your eyes on the 2015/16 GTD Public Event Calendar. You're going to like what you see! It's an exciting time to be a part of GTD! non-proFIT... As many of you know, GTD is a 501(c)(3) non-profit organization. Most people think that being a non-profit means you either have to lose money each year or, at best, break-even. This is a common misunderstanding. Actually non-profit organizations are allowed by law to make a profit, but those profits have to go back into the mission of the organization instead of going out as dividends to shareholders. In fact, the most financially healthy non-profits are the ones that finish with a surplus each year that can be used to expand their outreach, improve their organization, or tuck it away for emergencies. I refer to these financially fit organizations as non-proFITs. GTD strives to be fiscally fit. With a miraculous finish during the final 6 days of 2014, GTD just completed our 5th straight year of finishing with a small surplus since our catastrophic struggle during The Great Recession. We are trending in the right direction, but much of those surpluses have come as a result of harsh salary cuts in order to make budget. We have to breakthrough to the next level - beyond the struggle. And we believe we are on the cusp of doing exactly that. One of the areas we are addressing during our 52 Days campaign is developing our strategy to become financially stable. We are setting out to improve our fundraising, develop our grant writing, and increase our event revenues so that we can finally put the FIT in non-proFIT. 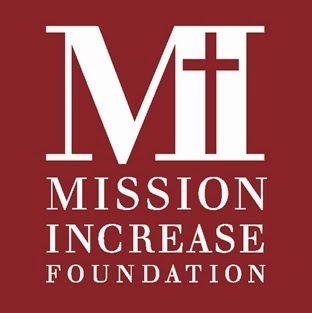 We are happy to say that we are partnering with a great organization called Mission Increase Foundation (MIF). They specialize in financially strengthening non-profits. It's an excellent and effective ministry that helps ministries. It's a non-profit for non-profits. Today we attended our first seminar with MIF, and it couldn't have gone better. We are looking forward to the impact God is going to make in GTD through MIF. The future looks bright. It's an exciting time to be a part of GTD! GTD WATER SPORTS! Believe it or not, although we are based in Pinellas County which is almost completely surrounded by water, GTD does very few water sports. 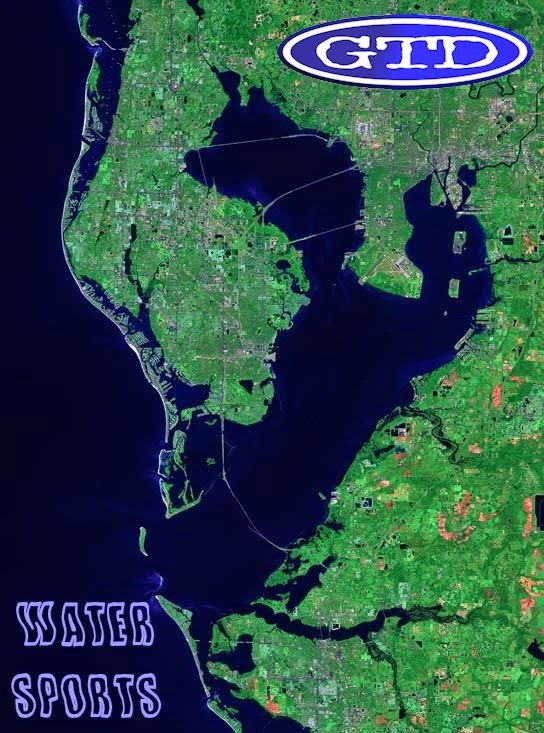 Consider these facts: Tampa Bay is Florida's largest open-water estuary, extending over 400 square miles. There are more than 100 freshwater tributaries and more than 40 coastal streams that flow into the bay. We have some of the world's top-rated beaches, creating a year-round haven for outdoor enthusiasts. People come from all over the world to visit the Tampa Bay area. Amazingly, or better yet - crazily, GTD doesn't offer much to do in our own backyard. Other than canoeing and island retreats, we don't offer many water sports. That's probably because the founder (me) isn't much of a beach person. I'm a mountain man, and I naturally long to take people to the mountains or into the wilderness. And so, for 18 years we have overlooked an enormous nature opportunity staring us right in the face, water sports in the Tampa Bay area. Part of our 52 Days campaign is to fix holes in the walls. And this is a big one. GTD has to be committed to water sports for our next 20 years of ministry. We have to master our own domain. We will continue to offer all of our mountain based adventures 600+ miles away, but we will no longer neglect the water based adventures that sit just inches away. We are now compiling a list of potential water sports to dip our toes into. Things such as snorkeling, jet skiing, wakeboarding, kayaking, kiteboarding, fishing, stand up paddle boarding, as well as bringing back a few of our former adventures - inner tubing, island retreats, and canoe camping. 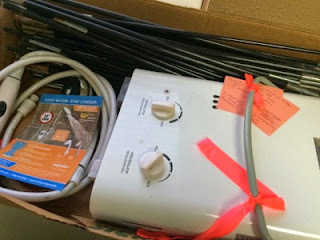 Keep following our blog and social media updates to see where this thing flows (pun). And let us hear some feedback about water sports that you would love to see GTD offer. We are listening. Who knows, you may just influence our direction for the next 20 years! It's an exciting time to be a part of GTD! 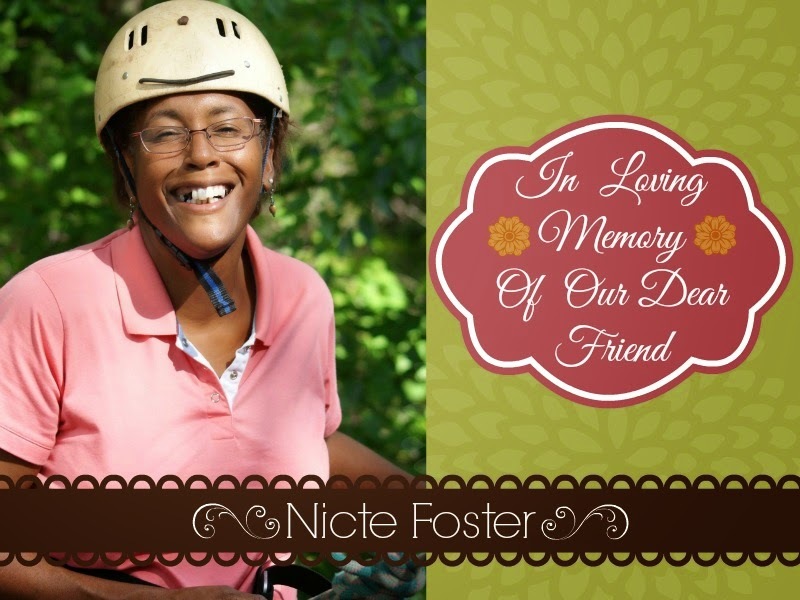 A life well lived is a lasting inspiration and our dear friend Nicte Foster lived hers well. We send our thoughts, prayers and sympathy to Nicte's family and friends as we all grieve the sudden loss of someone so special. Nicte was such a passionate, exciting, enthusiastic and encouraging person. She oozed life & positivity out of her every pore. She use to come on our trips driven to not let anything keep her from living life to the fullest. If she had a fear she seemed determined to conquer it each day as we set out for a new adventure. She was so articulate and would share with everyone during our group camp time about her fears and how she was not going to let them prevail in her life (things like the fear of heights, etc). She was larger than life in her zeal and passion. She was a woman who loved her family dearly and was so proud of her three grown sons. She was dearly loved and easily became one of our favorite people at camp. We will miss you dearly Nicte, thank you for sharing a piece of your beautiful self with us all. "Blessed are those that mourn, for they shall be comforted." 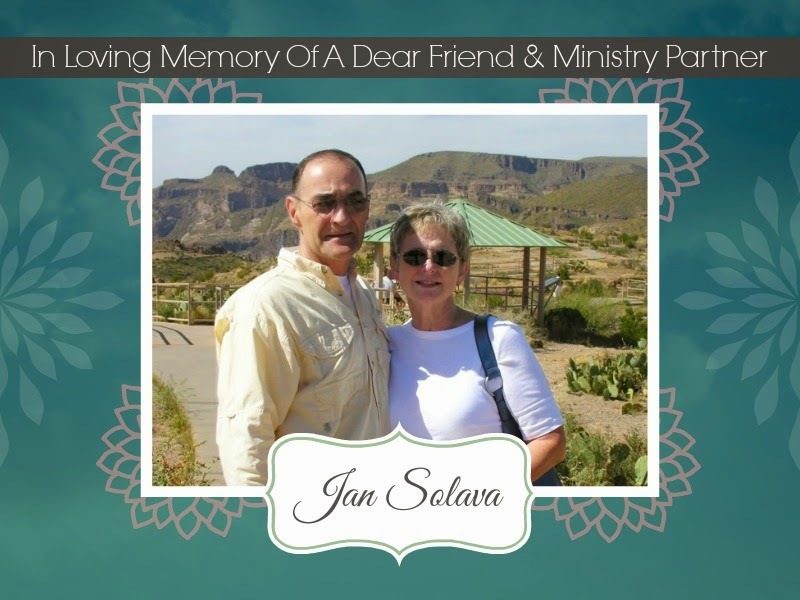 Last week our dear friend and Ministry Partner Jan Solava went home to be with the Lord after a along battle with MSA (Multiple System Atrophy). Our heartfelt sympathies go out to Frank her husband, her son Mike and the entire Solava family. Jan's life leaves behind a beautiful legacy through the lives she touched and through her beautiful family. May your special memories of her carry you through the difficult times, and may God's peace and comfort cover over you as you grieve your loss. It's was a privilege for us to know Jan.
For some, the journey's quicker, for some the journey's slow. and find an everlasting peace, together with the Lord. " Location, location, location! 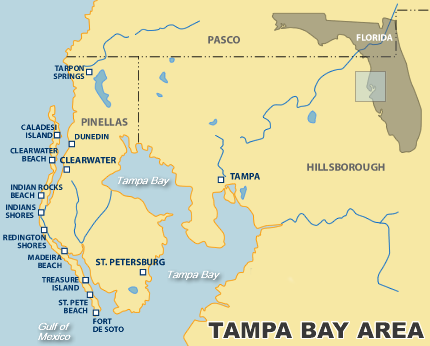 There are nearly 3 million people living in the Tampa Bay area. There are hundreds of churches throughout the region. GTD is a specialized ministry that provides Christ-centered outdoor adventures. Of course we host events for churches throughout the United States, but our primary church participation comes from the Tampa Bay area. One of the many things we are concentrating on during our 52 Days is developing our marketing focus. Unfortunately, GTD is one of the best kept secrets in our own area. We constantly hear pastors say, "I've never heard of GTD. If I had known about you guys we would have been doing events with you years ago." Our goal is to get the word out about GTD. We are a tried and true ministry that God uses to impact lives... and churches need to know about us. Currently we are collecting data about the bay area churches so we can formulate an effective marketing strategy to get the word out about GTD. As we develop this strategy we are also asking our GTDers to let their churches, pastors, youth pastors, and group leaders know about our ministry and all that we offer. We would love to meet with them and share with them what God is doing through Going The Distance Adventure Ministry. It's an exciting time to be a part of GTD! Retreats Were a HUGE Success!! Last night we returned from our back-to-back camping retreats that took place during the MLK holiday weekend at Word of Life in Hudson, FL. 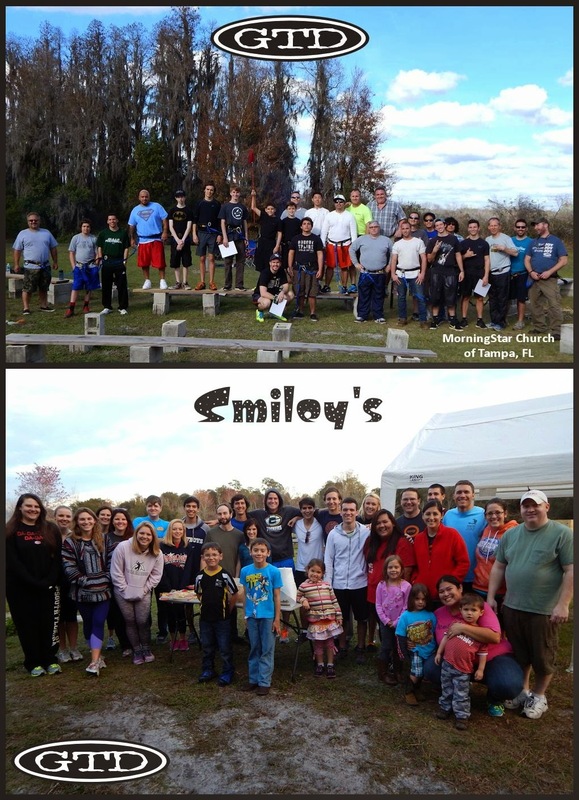 We hosted a men's retreat for MorningStar Church of Tampa followed by a young adult's retreat for Smiley's Coffeehouse (First Baptist Church of Indian Rocks). They were HUGE successes! (Praise the Lord!!). In fact, one of the men from MorningStar called the retreat, "One of the top 4 best days of my life!" Wow, that's what we like to call a "God-awesome" event! Over the weekend we put God first in everything we did. We had morning Bible devotions & nightly campfire messages. We made pizzadillas, smores, and stuffed pancakes. We did a high ropes course, climbing wall, and zipline. We played all day long. We watched a movie outside under the stars. We talked, laughed, told stories, played pranks, made new friends, and forged deeper friendships. Oh, and we also nearly froze to death as nightly temps dropped into the 30's and 40's. We played hard and we prayed hard! And God showed up. We want to thank both churches for choosing GTD as their source of Christian based adventures. We are honored to host your event. What a great way to kick off our 19th year of Christ-centered adventures! We believe it's going to be a phenomenal year of ministry. It's an exciting time to be a part of GTD! GTD IS REVAMPING THE MENU! All the time we have kids and even adults telling us how much they enjoy our "camp" food and we are working to add and improve our menu even more in the coming year! 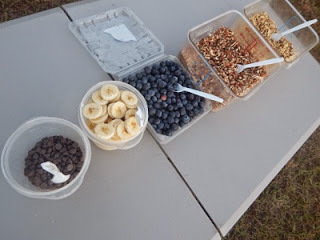 The first on the list, do it yourself pancakes with options like bananas, blueberries, walnuts, pecans and chocolate chips! Can you say YUM?!?! TAKING COUNT! Here we are day 14 of the 52 Day Campaign and although Doug is gone and on his second retreat of the weekend with the college ministry from Smiley's at First Baptist of Indian Rocks, he's still getting things done and today it has been about taking inventory of the things in our trailer being that we are a mobile ministry. In order to find out what our needs are, we first have to know what exactly we have since over the years things get broken, worn out or added to along the way. Since I've stayed behind this trip, I've been doing some cleaning at the office. After all, we have been gone on and off for months and it's another area that gets neglected along the way. It's simple things like cleaning out the cabinets, disinfecting the sinks, washing the floors, dusting and vacuuming that get missed on a regular basis. It's our hope that one day we will have someone to help us to stay on top of these things so we don't have to spend so much time doing them every time we have a little time back home. 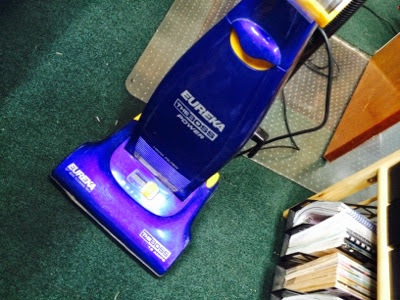 A clean office makes a productive office! THE DIFFERENCE ONE PERSON MAKES! I can't even express what a difference having one extra person here in the office has made for us. 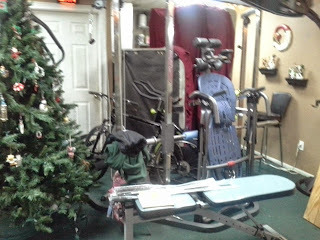 Things that have been piled up for years are getting done! 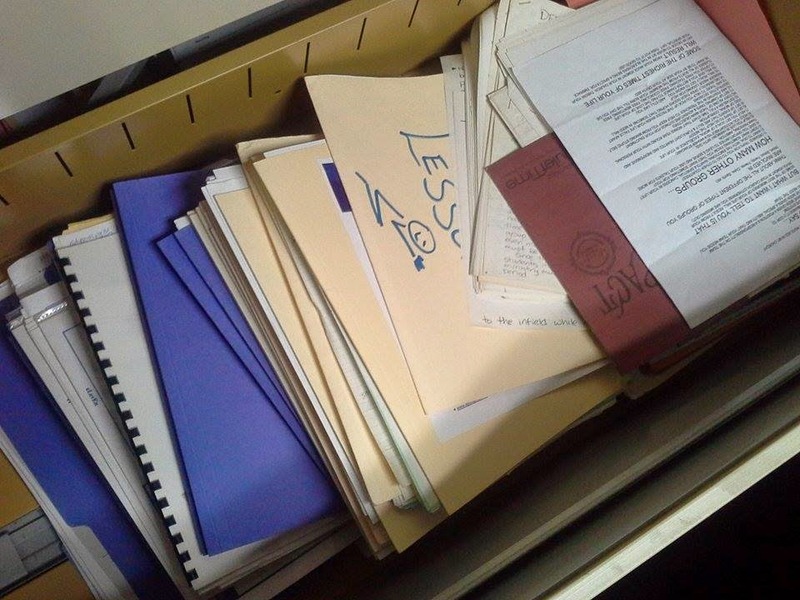 Today Jessica sorted through files and files and files of things that have just been sort of organized and shoved together and placed in a cabinet. Now she is taking the time to sort, organize (really organize) and throw away anything unnecessary or outdated! Such a simple task, but a time consuming task that neither Doug or myself have had time for! It feels so good to see this getting done and we couldn't do it without the help of another person here to help us! Thanks Jessica! RETURNS AND WARRANTIES! When you work in an outdoor ministry with lots of fun little gadgets like shower water heaters, trekking poles, headlamps, shock proof cameras and tents used by 100's of students and adults, things are bound to break and they do! So as they do we mark each item with an orange tag and set it aside to contact the manufacture in regards to the warranties so we can have them repaired, returned or replaced, but with our limited amount of time while running events and traveling these kinds of things have been placed on the back burner over the months and years. However today that all began to change as our new employee Jessica Butler began to tackle these items with phone calls and research on how to handle each item! So today we celebrate the fact that we're getting these things done! Bye bye orange tags, we have a new employee in town! On another note Doug has been working tirelessly on getting ready for back to back retreats this weekend as he also continues to forge ahead with the 52 Day Campaign. It's not easy for him to walk away with such a big project going on, but while he's off with our weekend volunteers running these great events, Jessica and myself will continue to chip away and make progress with the walls of GTD and trust in God's help and favor to do the work that needs to get done. 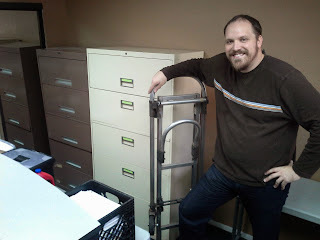 ONE SMALL STEP FOR OUR FILING CABINET, ONE GIANT LEAP FOR GTD! It's hard to put a value you on progress, so let's just say that having our new part-time employee is PRICELESS! 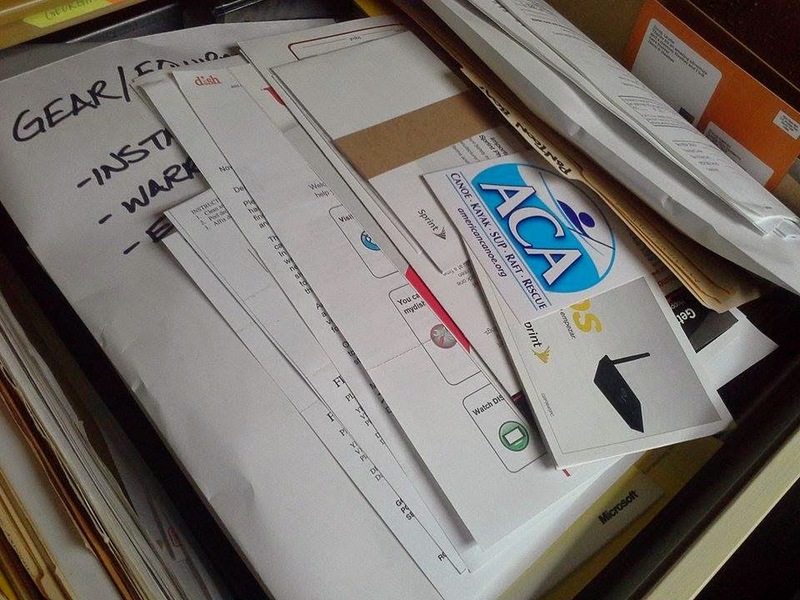 Although it may not seem like a lot to the untrained eye this one organized drawer in a huge filing cabinet means A LOT to us. 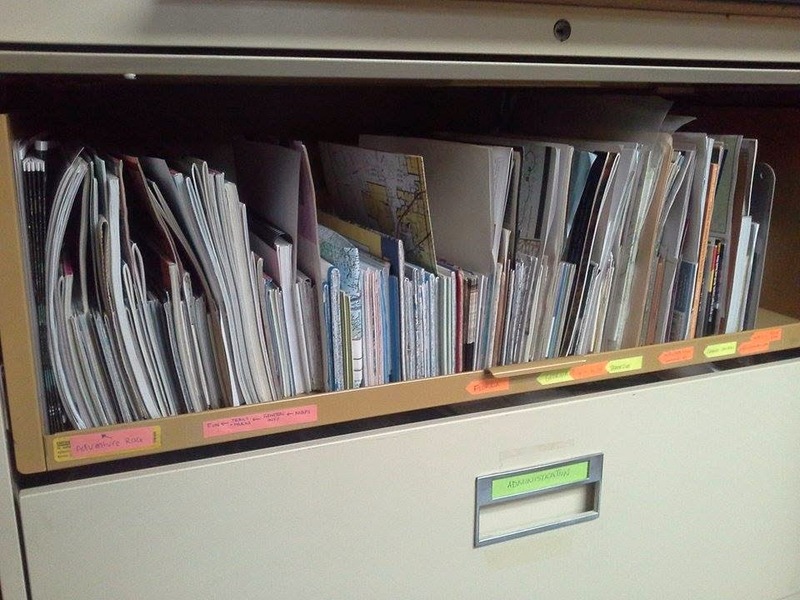 Running the ministry for the past 5 years with just 2 employees has meant that we race from event-to-event with no extra time to tend to the "small things" like sorting and organizing our map drawer. It has meant that only the most urgent items get attention while piles of tasks stack higher and higher week after week. In time, small things become large mountains that seem impossible to scale. But things are changing over here at GTD Headquarters. Mountains are moving. We have a brilliant new employee named Jessica and she is way overqualified to be just a map drawer organizer. But she has come in and humbled herself to undertake menial tasks that may not seem that big to the outside world, but mean the world to us. In fact, we weren't even prepared to bring on a new employee. With no training, no step-by-step game plan, no "map" of how to get from point A to point B, Jessica has come in and had to become a problem solver. We basically hand her a problem (a stack of maps 3 feet high) and ask her to solve it... with nothing more than a vague picture of what we want the solution to be ("We want to get rid of the outdated maps and keep the relevant maps in an organized system for easy future use. Ok, go!"). Well, she is just 20 hours into her new part-time job and she is already lightening the load for Laurie and I in a big way. To some it's just a drawer full of maps. To us, it's the beginning of a return to organizational excellence. And it feels real good! Great job Jessica! I know that you can learn Spanish and Chinese in about 30 minutes and name every country on a world map and spell them all correctly, but thanks for coming in and doing menial things in meaningful ways! It's making a bigger difference than you may ever know. We look forward to the next 6 weeks with you =). THE PURGE. Part of pressing on towards what lies ahead is letting go what holds you back. As you can imagine, it's easy to accumulate a lot of material over 18 years of ministry. Some of it needs to be held on to for a lifetime, but a lot of it becomes outdated and a waste of vital space. 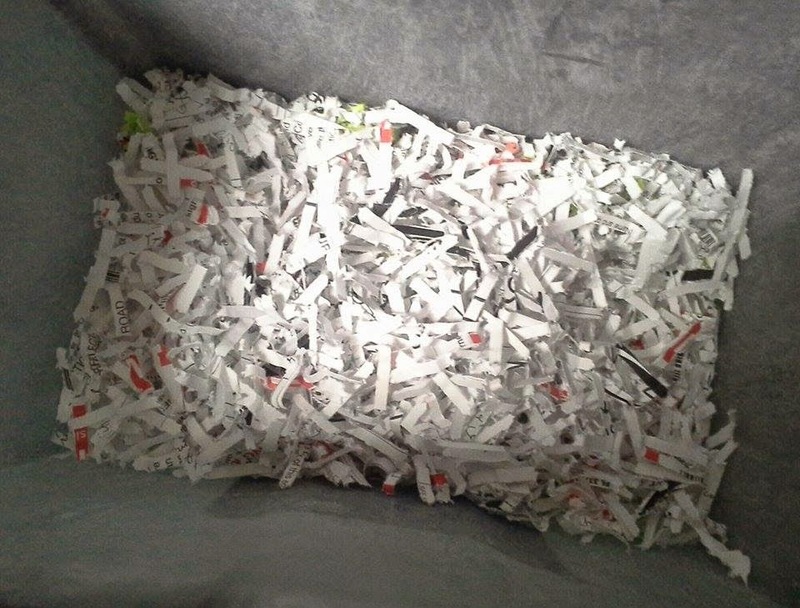 As we sort through our piles we have come across a lot of outdated papers... so we are purging them (shredding them if they contain secure information, and recycling them if not). It's amazing how fast the shredder waste box and recycling bins are filling up. Out with the old; in with the new. It's an exciting time to be a part of GTD! On Nov 18, 2014 GTD officially kicked off our 14 Month $250,000 Funding Campaign to prepare GTD for the next 20 years of ministry. This is not a 14 month fund raising drive. This is a 14 month funding drive. That means that in addition to fund raising events, our regular fee based programs and events will also go towards the $250,000 goal (the expenses for these events have already been factored in). UPDATE: In just under 2 months we are projected to be at 45% of our goal!!! That means that in addition to the donations that have already been received since November we have also added in the projected monthly donations pledged for 2015 as well as our current projected event revenues for the upcoming year. Two things about the current total: First, this thermometer can go downward if pledges or events fall through. Second, this thermometer still has 1 year and 5 days to go upward. That means that every new Monthly Partner and every new GTD event added to the calendar will drive this thermometer up towards our goal. To be honest, we are blown away that we are already at 45% of the goal. We are humbled and thrilled by God's mighty hand of support, and we are elated by the generosity of our donors. This has already been an amazing 2 months of rebuilding the walls of GTD. We are excited, but we are not relaxing. We are pressing on towards the goal that will put GTD in position to effectively minister to the next generation for the next 20 years. One of our main objectives during our 52 Days campaign is to take an inventory of every resource we have and transform it into its maximum potential. 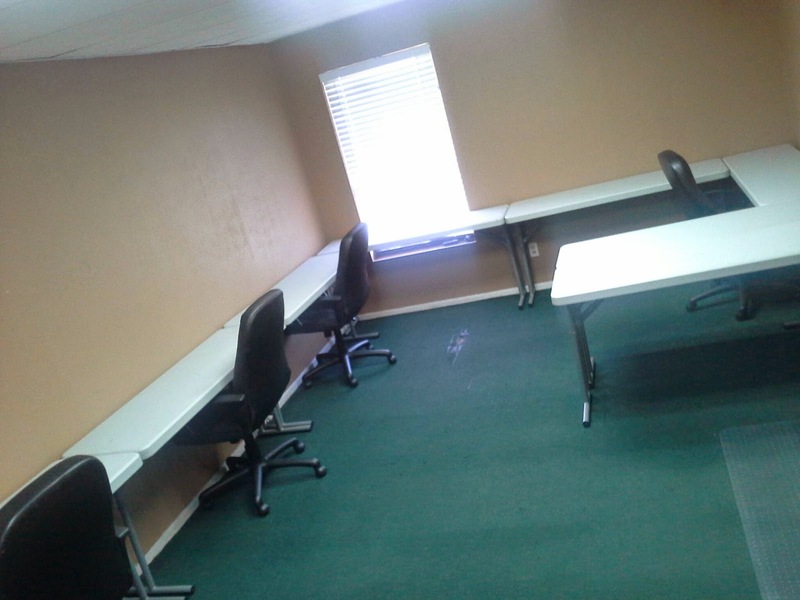 We have started with our 1000 square foot office in Pinellas Park, FL. 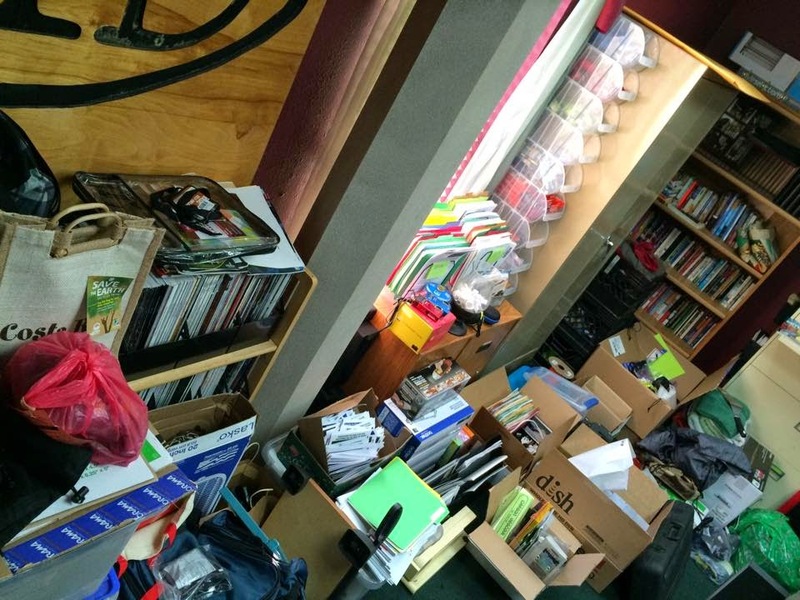 We are calling this project: Operation: Office Transformation. Each transformation project will go through a 3 phase process until it's completed > Rough Draft Phase > Functional Phase > Excellence Phase. 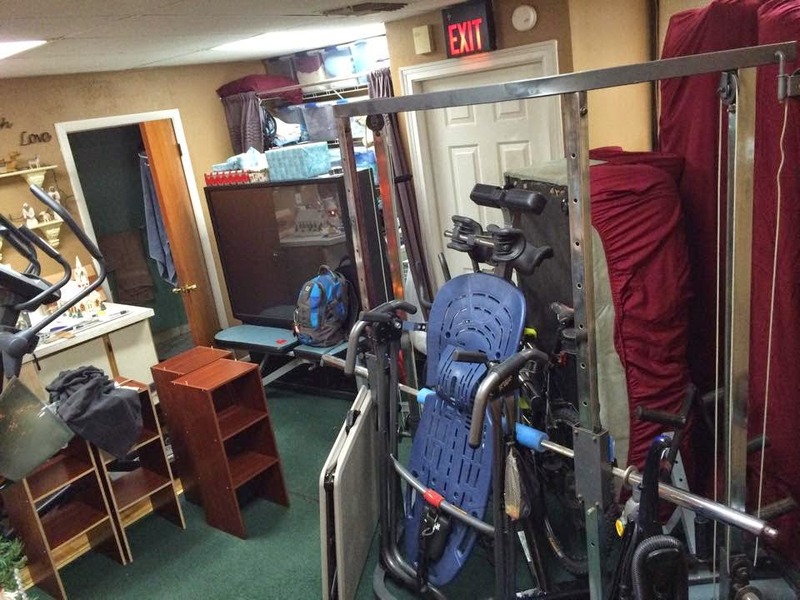 We have moved (and sometimes removed) thousands of pounds of furniture, office equipment, and exercise gear. During the rough draft stage our goal was to get all remaining items into certain rooms for specific reasons. Offices 1 & 2 now have only the items that will (probably) remain in them and will go on to the Functional Phase of positioning those items into temporary locations so that the office is fully functional. These rooms will then be assessed, planned out, and revamped for maximal optimization. Currently Office #3 has moved on to the Functional Phase for its temporary use as our 52 Days volunteers workroom. 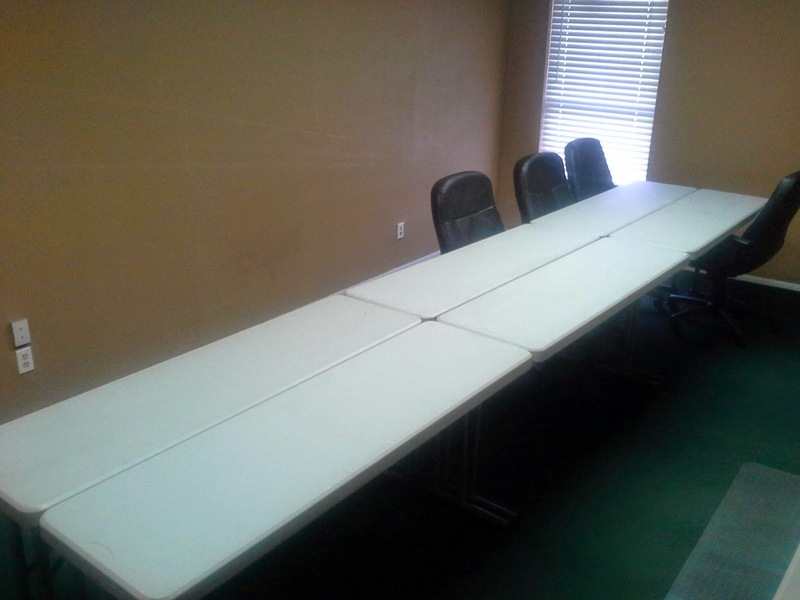 This is where much of the administrative tasks will be completed by volunteers over the next 7 weeks before Office #3 transforms into its actual purpose (to be announced later). So far, so good. It's all coming together and we are enthused with the process, the progress, and the potential. All I can say is that this is an exciting time to be a part of GTD! Keep following the progress... and consider volunteering for the process so that you can help GTD live out its full potential! Just like Nehemiah, we don't take days off during the 52 days of rebuilding the walls. Sundays will be partial work days so we can still attend church and spend time with family. After church I returned to the grind of updating, purging, and consolidating hundreds of to-do's. It's a long and arduous task, but necessary in order to equip our volunteers. I look forward to seeing these to-do's become to-done's! TAKE A HIKE! (Literally!) It's "Rollout Friday" at GTD which means this is the day that we give you a little glimpse of the things to come. For 18 years GTD has offered a lot of variety when it comes to adventures - rock climbing, caving, rappelling, canoeing, camping, and the list goes on. We've helped thousands of people experience these adrenaline filled activities for their first time. And we've watched many of them get hooked. They want more than just a taste, they want to throw themselves into their new favorite adventure and master it. They want to travel to incredible destinations and experience more of God's amazing creation while venturing deeper into their favorite activity. Well, we are going to continue to offer a lot of variety in GTD, but we are also excited to share with you that some of those adventures are going to take on an even higher level of emphasis. Some of these outdoor activities will become GTD's Premiere Adventures. They will become our specialty... our major... our "A" list activity... our crème de la crème. And we are happy to share with you that the first adventure to become a premiere GTD adventure is.... BACKPACKING!! 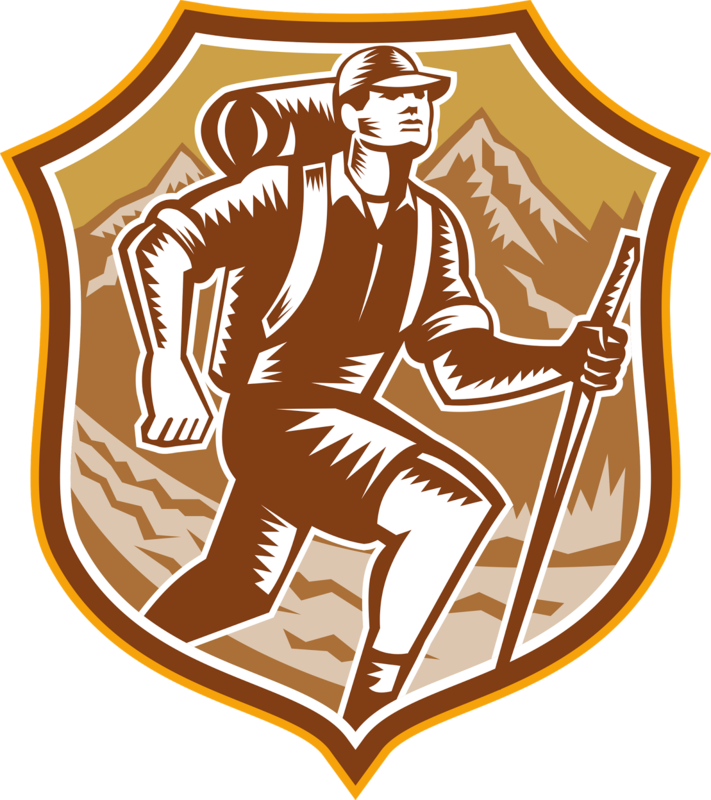 How would you like to backpack for several days with a Christ-centered outfitter out west or up north or on the Appalachian Trail or down into the Grand Canyon or in Utah or Montana. The list of awe inspiring destinations is virtually endless and GTD wants to take you there! We are thrilled to be in the planning stages of GTD's first Premiere Adventure: Backpacking! Stay tuned for all the developing news during our 52 Days campaign. This is an exciting time to be a part of GTD! Go (con)figure, we had another productive day at the GTD office as we configured one of our rooms with several work stations so our volunteers can come in and work on countless tasks that have piled up over the years. 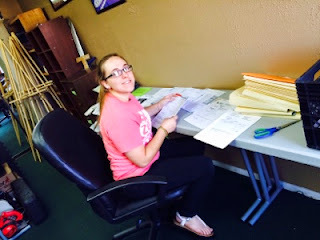 Jessica (our new employee) is doing a fantastic job of organizing each task and preparing them to delegate to our volunteers. We have a few more days of task preparations before we start taking volunteers. We are looking forward to all the progress that lies ahead. It's an exciting time to be a part of GTD! 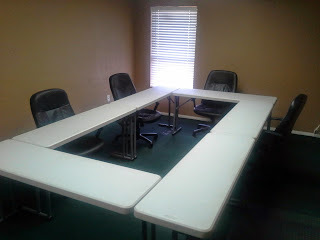 A little hint of things to come... Let's just say we are adding a little more "class" to GTD!! We can't wait to share more about one of our upcoming new additions to the ministry, but we will have to bite our tongues for now. Our special thanks to Bobby, Alex, and Matt for volunteering their time today to help with our 52 Days campaign. 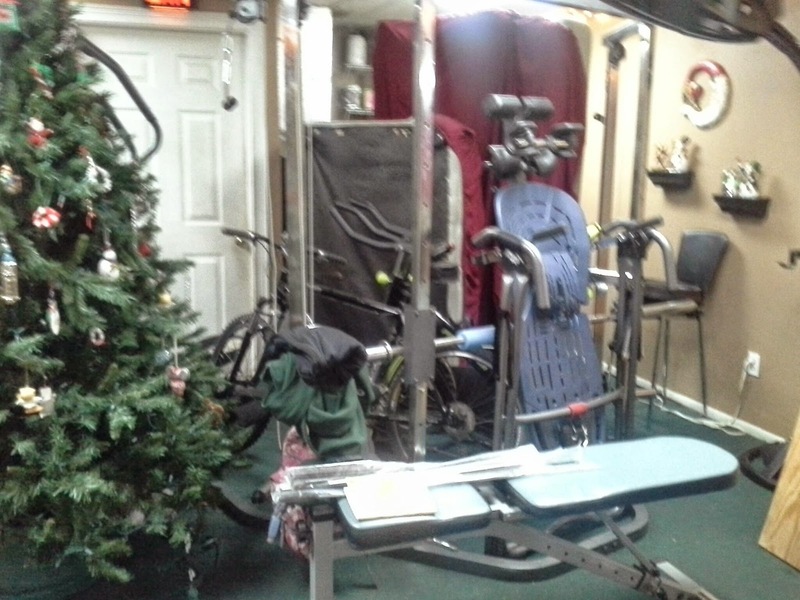 As you can see by the pictures below, sometimes you have to make a mess in order to clean things up. We are moving hundreds of things from one spot to another as we tackle each room in the office. Our goal is to make the most of every resource God has blessed us with. In regards to our office, we are going room-to-room with one mission in mind: Transformation. 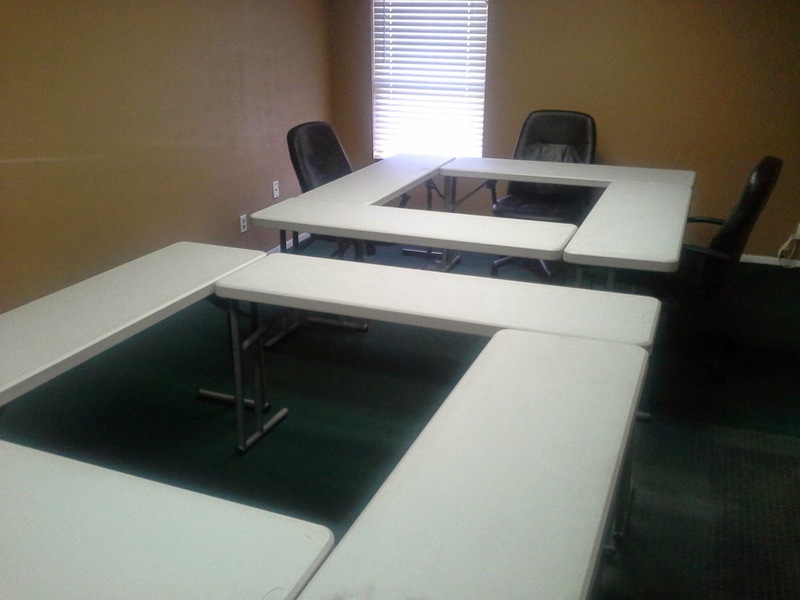 Each room will go through a 3 phase process > Rough Draft Phase > Functional Phase > Excellence Phase. We are setting up each room for it's new purpose while removing items that do not pertain to that purpose (rough draft phase) then we will add all the necessary components to make it usable in its current state (functional phase) and finally, we will add to it all of the finishing touches to make it inviting, motivating, and fulfilling it's full potential (excellence stage). As we prepare for the next 20 years we must start by making the most of the present opportunities. Today GTD kicked off the most important objective we've ever been involved with. 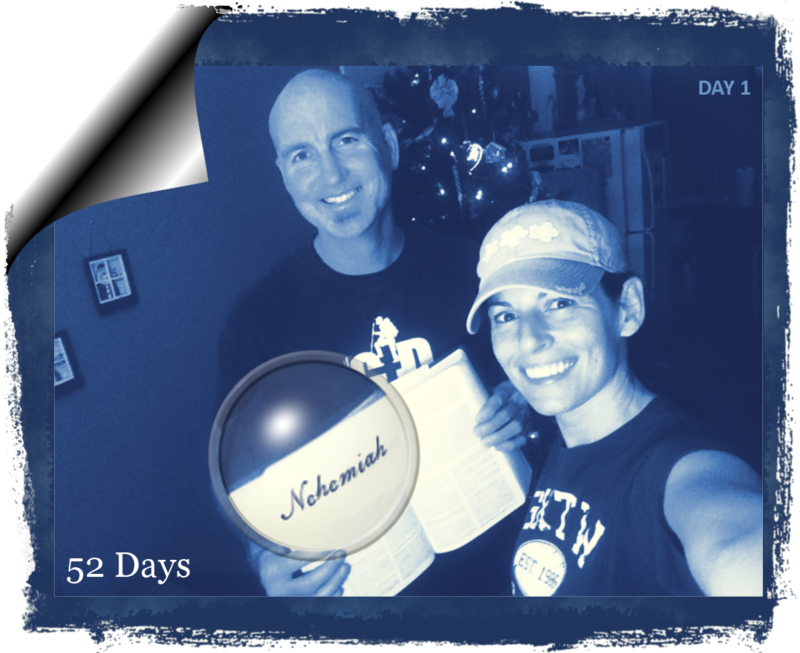 It's called "52 Days" and it's based on the first 6 chapters of the Biblical book of Nehemiah. In this book Nehemiah finds out that the Jews who survived the exile were in great trouble and the wall of Jerusalem that was built to protect them had been broken down and its gates were destroyed by fire. Nehemiah wholeheartedly seeks God and prays for success and mercy before the king. He then shares his distress for his people with the king (Nehemiah was the cupbearer to the king). God granted Nehemiah favor as the king not only gave Nehemiah authority to rebuild the wall, but also funded its reconstruction. Nehemiah journeyed to Jerusalem and took time to survey the damage to the wall and the gates. He then met with the remaining remnant of Jews and shared with them his vision to rebuild the wall of and how God had already been working. The people replied, "Let us rise up and build." And so they set out to rebuild the wall. They worked day and night while being threatened by many adversaries who wanted to destroy them. They worked with a trowel in one hand and a sword in another. And they worked together and completed the wall in only 52 days. I've always loved this story because it displays the delicate balance between God doing His part and man doing our part. God supplied the passion, mission, vision, opportunity, authority, and funding while the people supplied the obedience, effort, hard work, and diligence to physically restore the wall. God did His part and the people did their part. Today, we have taken on a similar mission to rebuild the Walls of GTD. The foundation (our values, mission, vision, and commitment to Christ) & the God-awesome events of our ministry are solid as a ROCK. But the Walls of GTD (the structure that helps us accomplish our mission) needs some attention. In fact, it needs to be rebuilt. Part of the wall is broken down because it's the natural result of aging (18 years of ministry causes trailers, equipment, and gear to need some restoration). Part of the wall is broken down because of spiritual warfare (We have an adversary in the spiritual realm that wants GTD destroyed and he utilizes a variety of artillery to attempt to chip away at our resources. We just survived a 5 year recession that required intense amounts of personal sacrifice). And part of the wall is broken down from "live-and-learn" decisions (We've never built a ministry like this before. In fact, it's a very rare ministry. There aren't many mobile outdoor adventure ministries out there so sometimes we get educated by the school of hard knocks and that can wear away at our walls). The exciting thing is that we have completed 18 years of ministry and now have a wealth of education and experience to draw from as we begin to prepare for the next 20 years of ministry. In order to be ready for the next 20 years we are using our 19th year to "Rebuild The Walls of GTD" and address every broken piece of equipment, every broken piece of organization, every broken piece of planning, every broken piece of marketing, every broken piece of our overall structure and either rebuild it, reform it, or remove it. If it's not adding to our calling then it is getting in the way. If it's in our way and we can't reform it then we are getting rid of it. This goes for everything - events, website pages, brochures, departments, programs, trailers, storage facilities, post-it notes, 20 years of paperwork, 25 year old ideas, outdated wall colors, and the list goes on-and-on. I think you get the gist of it. So what does all this mean? It means that just like Nehemiah couldn't rebuild the Wall of Jerusalem by himself, neither can we rebuild the Walls of GTD by ourselves. We need your help. We are asking people to volunteer as well as help fund some of the rebuilding. We need everyone to be involved. This is a call for, "All Hands On Deck!" 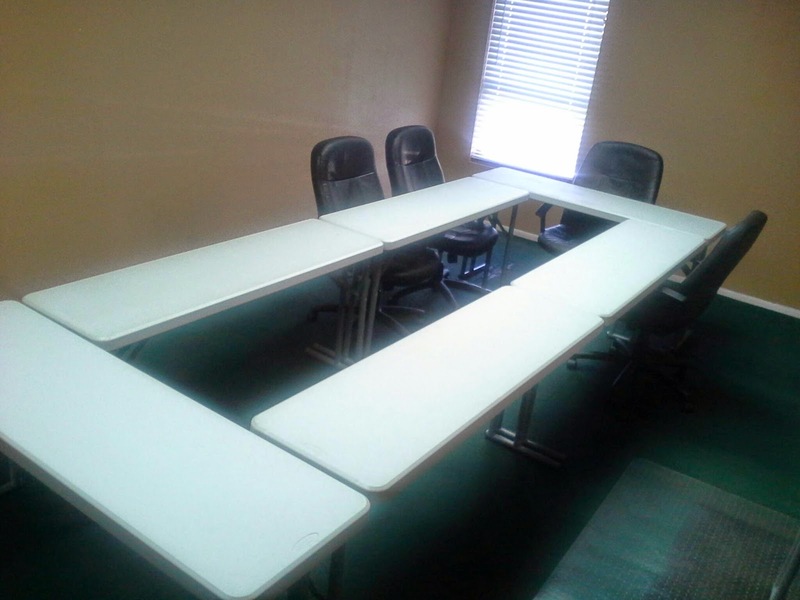 We have all kinds of work that needs to be completed - office work, data entry work, picture scanning, minor repairs, major repairs, renovations, construction, procurement... you name it, we need it - especially Y-O-U! We spent today doing the most important type of work, we prayed. We sought God for His favor, His plans, and His success over the next 52 Days. And we also went to work! We didn't have all of the volunteer projects ready to go on Day 1 because we didn't want to call this a 52 Day campaign if we were really working 4 weeks on it before it even started. That wouldn't be a real 52 Day campaign. I have already spent time surveying the wall like Nehemiah did before he announced the general objective to the people. Now I'm making the announcement, "The Walls of GTD need to be rebuilt so that we are impacting the next generation of young people with the Gospel of Christ. The walls can't be rebuilt by themselves and we can't do it by ourselves. We need your help. Let's team-up for the next 52 days to transform this ministry into a God-awesome ministry prepared for the next 20 years. Let's team-up for the next 52 days and be a part of something bigger than ourselves; something that impacts eternity! Will you help us transform GTD into a ministry ready to go the distance for the next 20 years?" We want you on our team! Click here to sign-up.